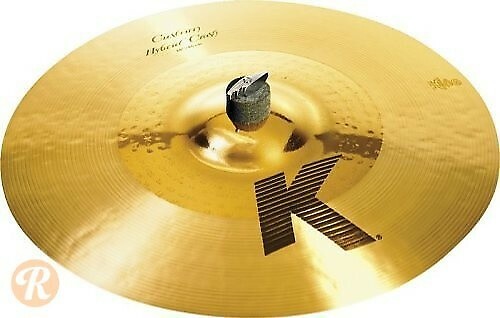 Developed in conjunction with the legendary Akira Jimbo, the K Custom Hybrid is one of the most versatile cymbal series on the market. Featuring thin weight combined with a lathed bow and un-lathed bell, the K Custom Hybrid functions equally well in an intimate jazz or loud rock application. The 19" crash projects with the power of a much larger cymbal and offers clear articulation when played on the un-lathed bell.